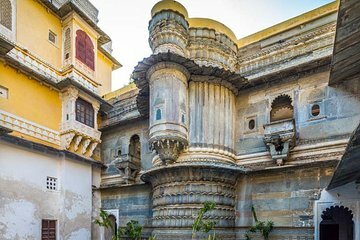 Explore the main landmarks of Udaipur on this half-day private tour. The itinerary includes the City Palace, Saheliyon ki Badi (a small ornamental garden), and Jagdish Temple, which boasts a bronze statue of Garuda and stone elephants at the entrance. Plus, see a folk dancing performance at the quaint Bagore ki Haveli.